Social networking has now become a vast communication platform today. With different social platform the communication on social network has become more efficient and easy. Facebook, Snapchat, Instagram, Twitter are some of the popular social platform that you can use. But if you are looking for simple and quick app then WhatsApp is the best internet messaging app. Except for sending messages you can do lot more things with Whatsapp like sending pictures, videos, voice call, video call and much more for free. So all these features of Whatsapp has made it popular in the internet and there are billions of Whatsapp users. But lots of Whatsapp users are looking for more features like message scheduler, delete sent messages anytime and much more. Whatsapp is gradually adding new features in every update and hope that they will also add some more in the coming days. But yet as the feature is not available in the official app,some of the usershave moved on to GBWhatsApp. Basically,GBWhatsApp is an app similar to Whatsapp and also works the same, but here you will find all kinds of freedom that you needed like changing colors, scheduling message etc. So you are getting all those features in GBWhatsApp that you have always wanted on original Whatsapp application. The best part of GBWhatsApp is that you can even use this app on unrooted devices. So let’s have a look on how to get this app on your device and how you can use it. To schedule message on WhatsApp you will need to download Gbwhatsapp. As the application is not available on Google Play store, but you can download the GBWhatsAppapk from the Link given below. After you have downloaded this apk you need to install it on your Android phone like you install the other third party app. It runs smoothly on all android phones, so you need not to worry about its compatibility. But make sure that before installing it you need to enable Unknown Sources of your phone. After that click on the downloaded apk file and install it successfully on your device. After it has been installed, launch the app and register to GBWhatsapp with your number that you have used on Whatsapp. The remaining process of GBWhatsapp setup is same as that of Whatsapp. Installation is complete and now it’s time to share some of its features and then I will share how you can schedule Whatsapp message using GBWhatsapp. The interface of GBWhatsapp is smooth and friendly as that of Whatsapp. You can download this app for free in both Android and iOS device. It offers many privacy features to your messaging. With the help of this app you can send large document or files as compared to Whatsapp. You even can send large video and audio to friends through GBWhatsapp. 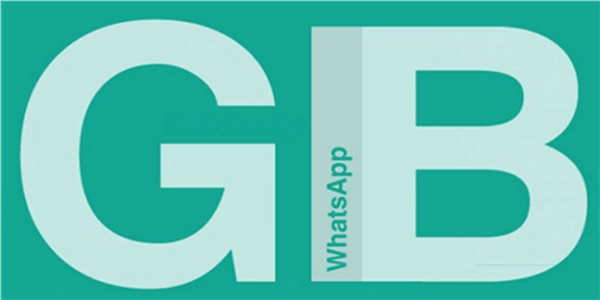 With the help of GBWhatsapp you can run two whatsapp in an Android phone. It able you to hide online status which will show everyone that you are offline. Hide the blue tick mark which appears while you read a message for your friend. You can send your current location to your friend through GBWhatsapp. Storage management on Whatsapp will be simpler through GBWhatsapp. GBWhatsapp comes with theme pack those you can use as per your choice. Scheduling message is a very important requirement that Whatsapp users are in need of now. They have still not added this feature so GBWhatsapp has come with this excellent feature. There are many interesting things that you can do with this feature like you can schedule message to send a birthday wish to your friend, happy new-year wishes, Christmas wish and many more. 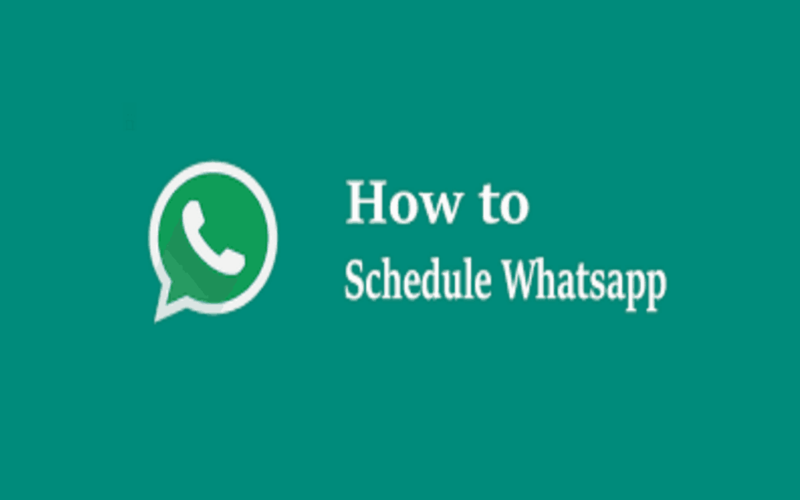 So it seems very interesting feature and now it’s time to know the steps to schedule message through GBWhatsapp. Now you need to launch this app and you will notice all your Whatsapp contact will be in the front page of this app. Now as on Whatsapp there is menu button on the right top corner in the GBWhatsapp too. Simply click on the menu button and get access to all those amazing features that we have been talking about the whole article. As you are looking to schedule message so you need to click on the “Message Scheduler”. 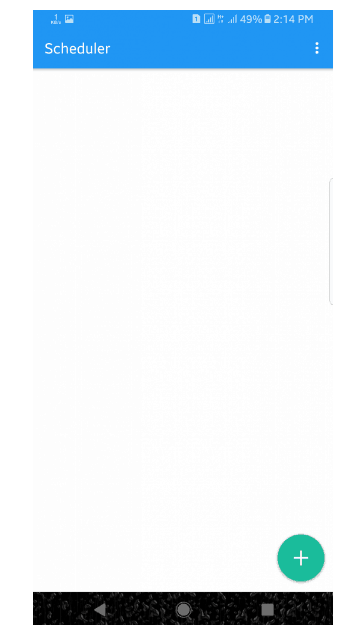 As soon as you click on this option a new blank window will open just like in the picture shown above, and in the bottom of the page you will get a “+” sign (Add option). So simply click on the Add option, after you have clicked on plus sign a page will open with some text boxes. Here you will need to fill the details about the recipient name, Message and date and time. You can even schedule the same message for several times with the option present on the bottom of the page above schedule. So if you are done with the setup, click on Schedule button. That’s all, message will be send to the recipient at an exact date and time that you have mentioned automatically. Over all Whatsapp is a great and powerful online messaging application. Whatsapp offersmany features whichtake online chatting technology to another level. But as technology is getting advanced so our expectation from Whatsapp also increases. And one of the most important features that Whatsapp needs to have is the message scheduling. But as this feature is not available so you need to use GBWhatsapp to schedule WhatsApp messages. It is free to download and simple and smooth as that of Whatsapp. So simply download the GBWhatsapp app following the download step given above and enjoy the freedom of chatting your friends with tons of features.